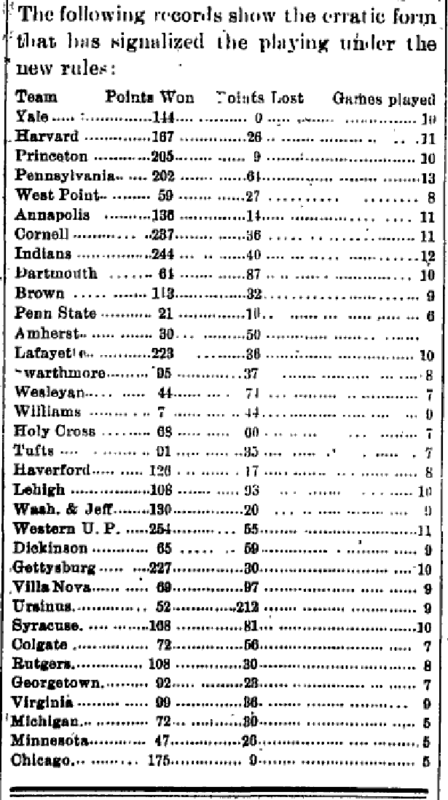 Recently, I received a question about the 1899 Carlisle Indian School-Hamilton College football game. That person hadn’t been able to find anything about it and wondered if it was actually played. I had never given that game any thought because the Indians played three of the Big Four and beat Penn for the first time that year. 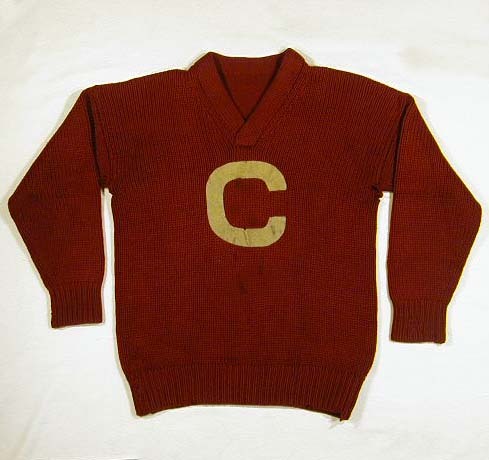 1899 was also Pop Warner’s first year at Carlisle and Walter Camp named Isaac Seneca to his All America First Team, the first Carlisle player to be so named. It’s easy to see why the game with Hamilton College could be overlooked. For starters, this was the first, and only time these two schools played. Secondly, the game was played in Utica, NY and was probably the only time Carlisle played in that town. Thirdly, even though Hamilton had been having decent seasons the past few years, they weren’t in the class of the big teams Carlisle normally played on the road. After all, Pop Warner’s Cornell team beat them 41-0 the previous year. But that may be the hint we’ve been looking for. Pop Warner may have had a relationship with Hamilton’s coach plus Hamilton College may have offered Carlisle a good bit of money to play them. Clinton, NY, Hamilton’s home is near Colgate and Cornell plus Warner’s home was in Springville, NY. So, there may have been some familiarity. 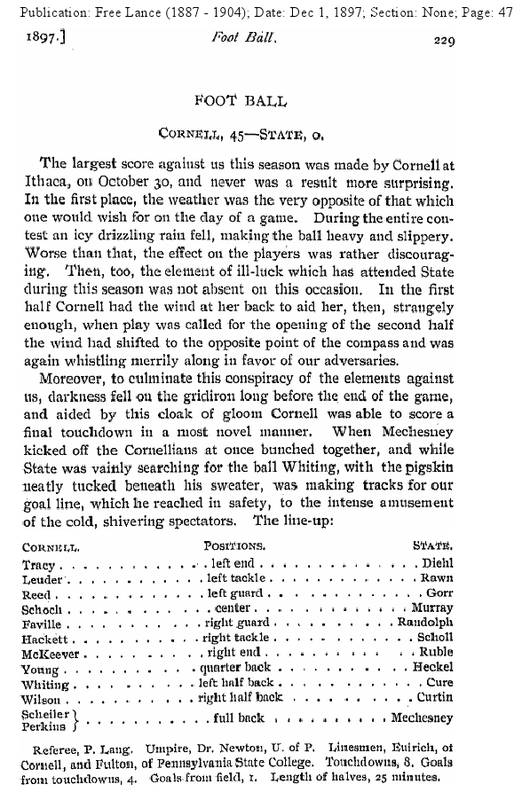 Hamilton was more than holding its own against Colgate at that time and was even competitive against Cornell in 1899. Hamilton supporters may have thought that they had a pretty good team that year and wanted to see how they stood up against a powerhouse. I found Carlisle Indian School newspaper mention and New York Times coverage of the game, so it was definitely played. What is most interesting is why was it played? More research is needed to determine that.